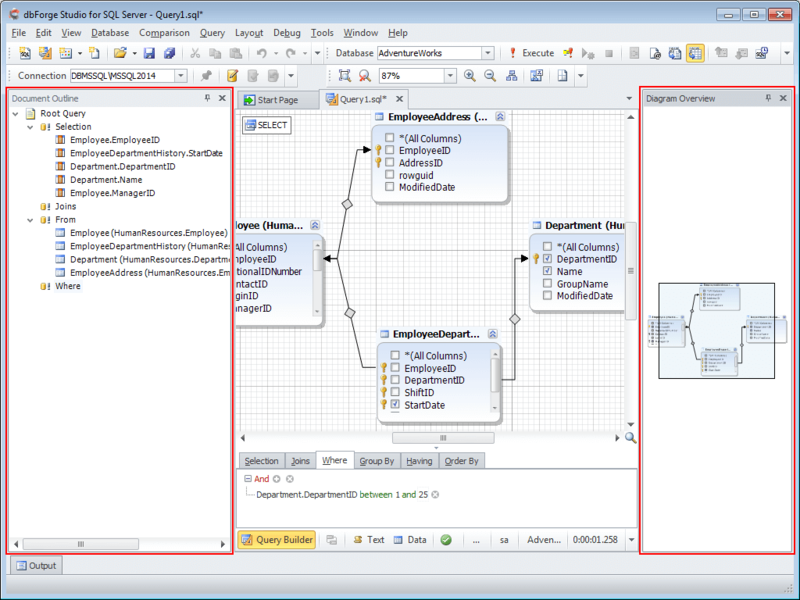 Query builder for SQL Server is a tool for visual designing any queries you need. Using this SQL query tool, you can easily build SELECT statements with multiple tables, joins, conditions, and subqueries without manually typing the code. 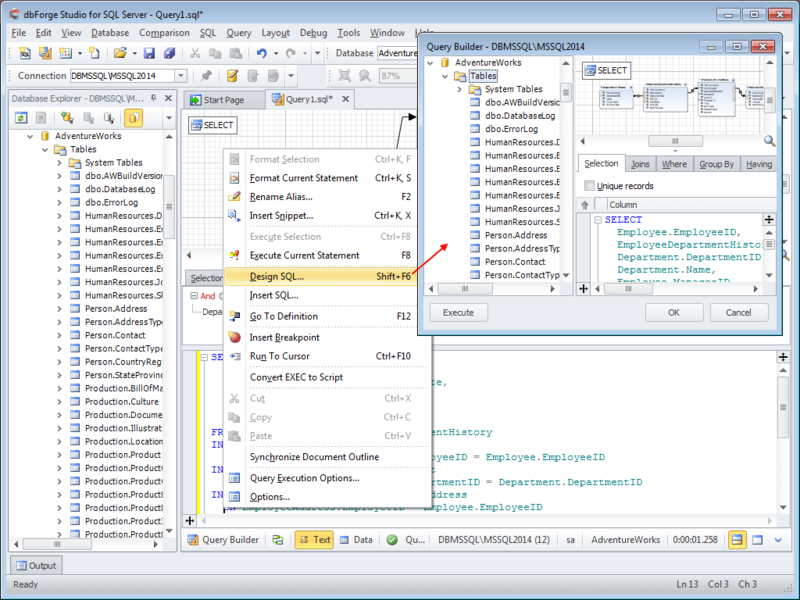 Query builder is well integrated with other application features. A query is ready to be executed. 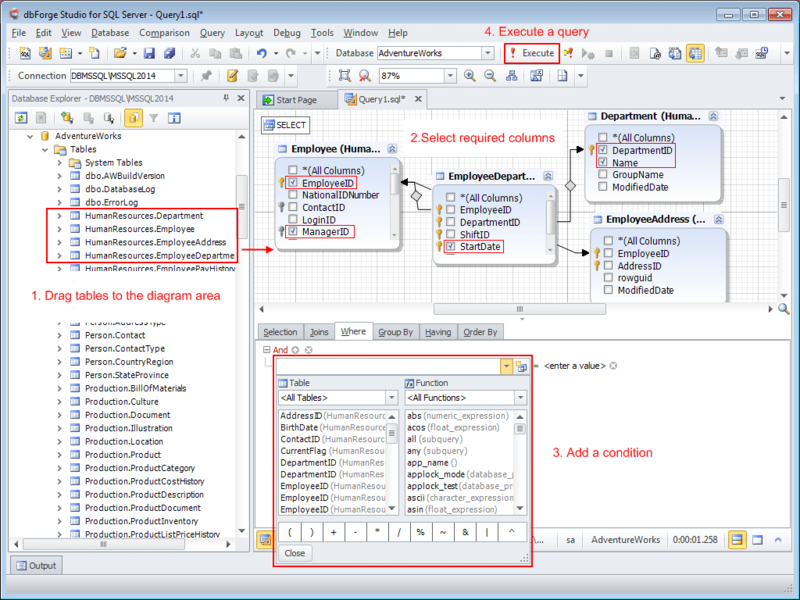 Document outline window that shows the logical structure of the currently opened SQL document. 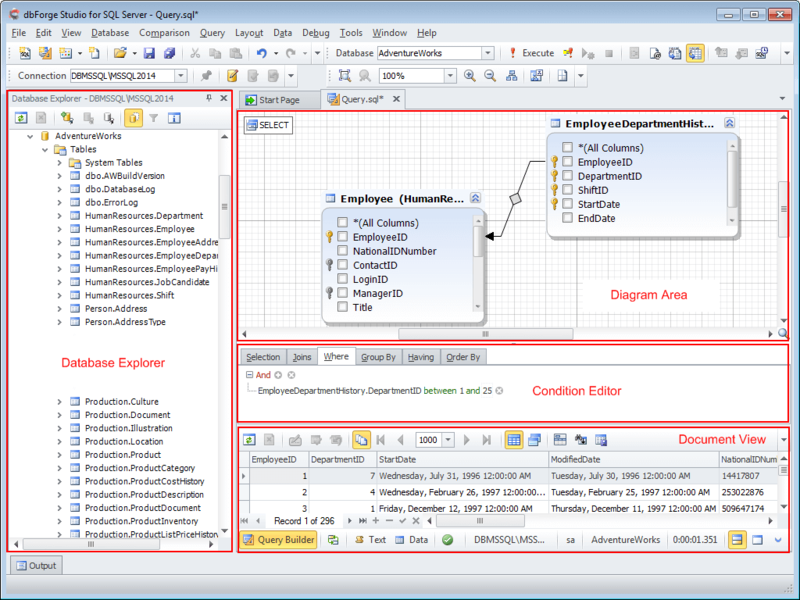 Diagram overview window that allows you to get a better overview of large diagrams. The current query type is displayed in the left upper part of any query document. You can quickly change the query type, by selecting the Change type list on the toolbar or the Change type item in the shortcut menu of the document. 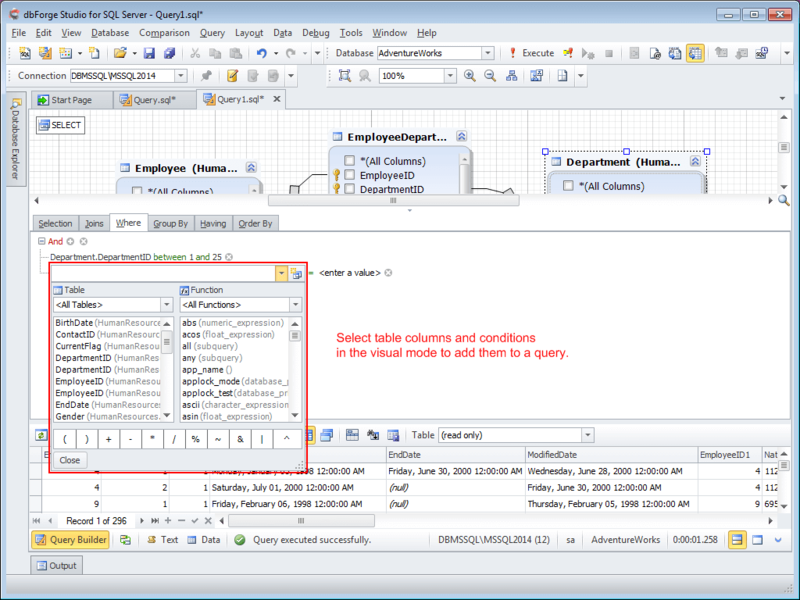 Query Builder supports subqueries for all SELECT statement clauses. Each subquery can have its own subqueries. When you create a new subquery, it opens in a separate tab of the same document. Thus, you can navigate subqueries easily. The Parent Query button allows you to go to the upper-level query quickly.